For years, cities all over the U.S. have sought to promote development as a means to keep housing affordable. In an attempt to do this, cities often engage in “up-zoning”—reducing some zoning restrictions, often around popular transit stops in order to promote more building and higher density in those neighborhoods. However, in a recent study by Yonah Freemark, a doctoral candidate in urban policy at the Massachusetts Institute of Technology, it appears the loosening of zoning restrictions doesn’t immediately lead to lower prices or more construction activity. Freemark’s study, titled “Upzoning Chicago: Impacts of a Zoning Reform on Property Values and Housing Construction” compared a set of zoning reforms in 2013 to more assertive reforms in 2015. He then tracked housing affordability and construction starts from 2010 to 2018, from before and after the changes in zoning. 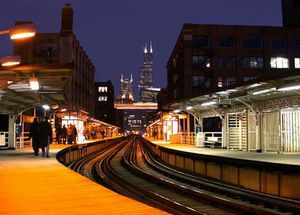 In 2013, the city of Chicago passed an ordinance that allowed developers building within a quarter-mile radius of Chicago Transit Authority train stops to avoid the one-to-one ratio requirement of parking spaces to units. The ordinance was then expanded in 2015 to properties within a half-mile of the stops and waived nearly all parking requirements. The 2015 ordinance also eased height restrictions for mid-rise and high-rise buildings. In June of 2018, Mayor Rahm Emanuel approved a third ordinance that would lessen restrictions for properties within a half-mile of popular CTA bus stops as well. Freemark’s study found that housing prices actually rose in areas that had been up-zoned, especially those wherein the allowed building sizes had increased. This was often the case during the approval or construction process of major new residential projects in up-zoned areas—projects that tended to be approved in the first place largely with the stated intention of boosting local inventory to help curtail rising housing prices. Freemark’s study found that the intended affordability boost in those neighborhoods came later, after the new inventory was delivered—if it came at all. There also was no significant increase in the overall number of applications for building permits that could be attributed to up-zoning within the last five years, the study noted.